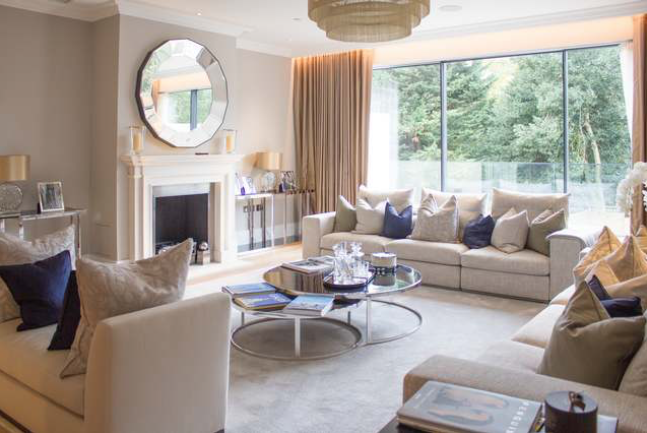 Living rooms are one of the most popular, versatile spaces in our homes - they're where we chat, relax and entertain. And they're the space that can best show off our personal style and creativity. 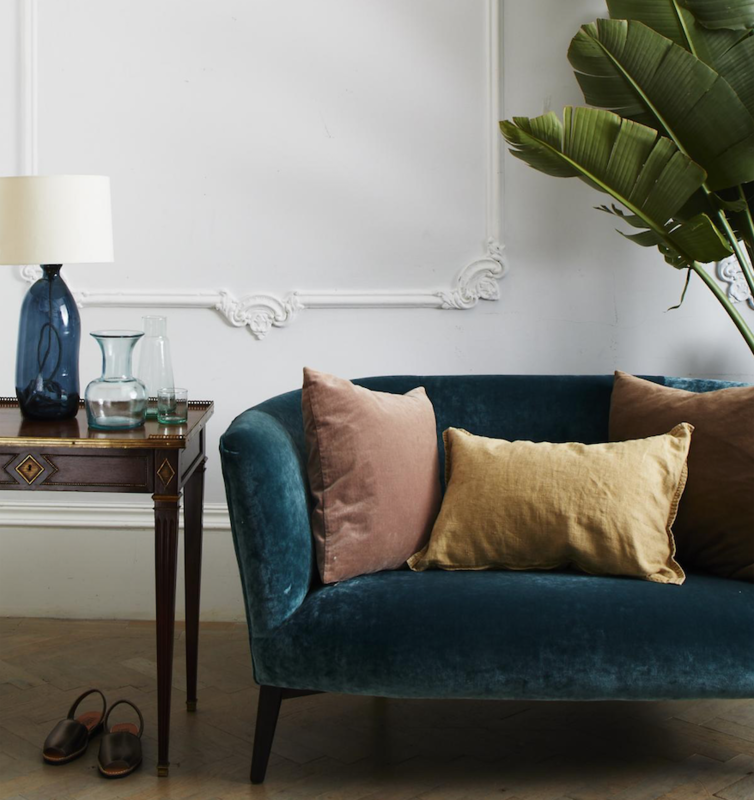 The colour scheme you choose will determine the look and feel of your living room, as different shades can have different psychological effects. For example, if you want to feel calm and relaxed, blue is an ideal colour to choose. However, if you want a living room to lift your mood and increase your energy levels, incorporate yellow into your interior design. While those who want cleanliness and purity should keep things simple and chic with white. Choose colours within a colour family, so a dark blue, mid blue and a complementary shade such as a soft green. But avoid clashing colours at all costs and feature walls have had their day! Tricky because while a lot of sofas might feel comfortable when you sit on them for five minutes in a showroom, when you spend a lot of time on them you find they're anything but comfortable. So the moral of the tale is sit on a sofa you're trying out for at least 30 mins and adopt various positions...shoes off of course as you won't want to annoy the shop staff! Remember while the style and colour of your sofa can help to bring the interior design to life, it is crucial to consider comfort. A cosy sofa will provide the perfect welcome after a hard day's work, as it can help melt away stress once you settle down for the evening. So always test a sofa thoroughly before to avoid making a choice you later come to regret. Every living room needs a beautiful focal point that will grab everyone's attention. To make your visitors fall in love with your décor, pick an impressive piece that will draw their eye each time they step inside a room. For example, you could hang a chandelier to add luxury and elegance to your interior design, or you could showcase your eye for detail and tradition by incorporating one of the many sophisticated Victorian fireplaces available. Lots of us are guilty of overlooking lighting when redesigning the living room. If you're lucky enough to have a room with feature large south-facing windows, pull back the curtains and pull up any blinds as high as possible to allow lots of natural sunlight in. But if your living room isn't awash with natural light, aim to layer lighting across the room. For example, illuminate dark corners with a stylish floor lamp, brighten up the space with ceiling LED spotlights, and switch on a table lamp to create a cosy, inviting atmosphere. And do ensure you invest in energy-saving bulbs as they do reduce your electricity consumption and help save the planet! As well as LEDs look at CFLs - compact fluorescents. To inject personality into your décor you need art. So consider hanging a painting, a big framed photograph or vintage poster. 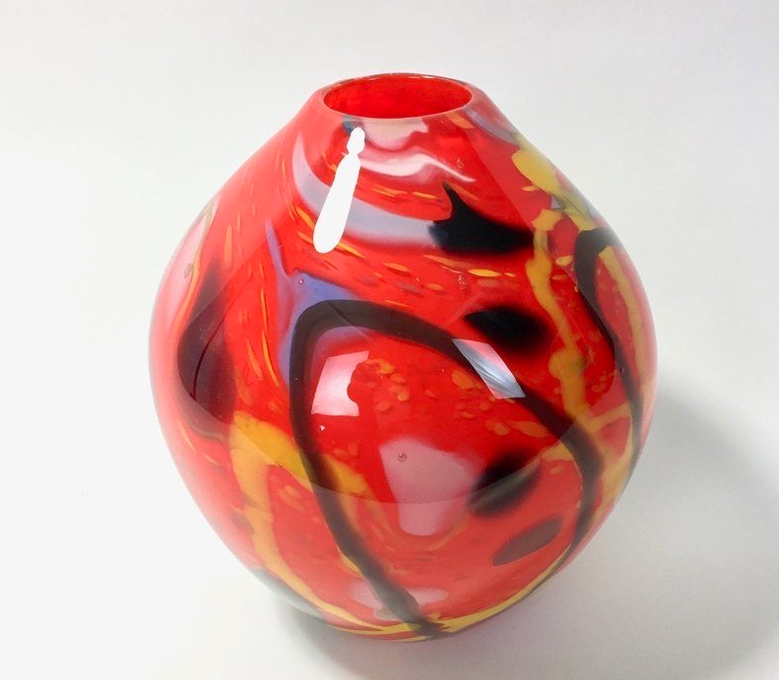 Pieces of sculpture or ceramics are also great artworks and it's fun to build up a collection. Choose a work that reflects your taste .. and do bear in mind how it sits in your colour scheme. So if your painting is predominantly yellow but your room is cerise pink, it may not work so you'll need to put it in another room. Artworks shouldn't stand out because they clash with what's in the room. Paint – Dried paint sheds microplastics through deterioration. Apparent in road marking paint, and paints used for ships and houses, they are known as ‘secondary microplastics’ that result from wear and tear. Eco-friendly paints are available as an alternative to help reduce your plastic footprint - for example Edward Bulmer Natural Paints and Graphenstone Paint. Car tyres – Looking for an incentive to drive less? our vehicle tyres are constantly releasing microplastics into the environment and the small pieces of plastic debris then contaminate soil and are washed away with the rain into waterways. 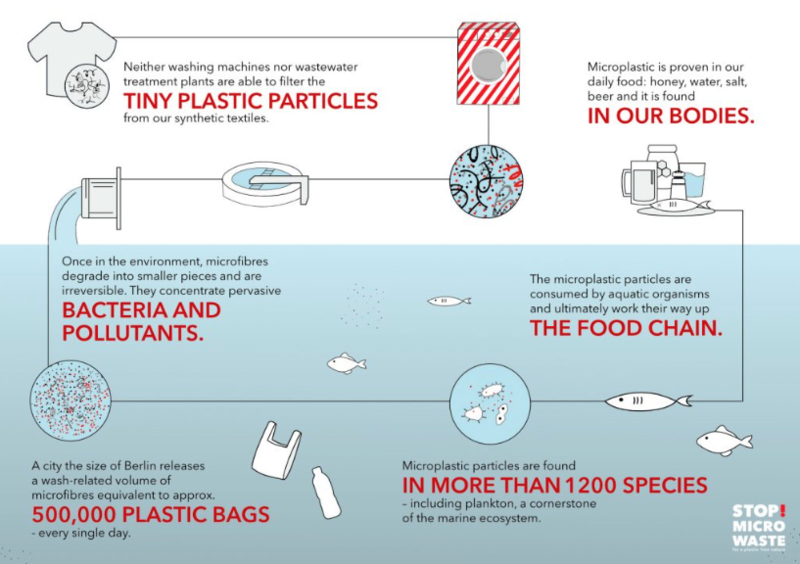 A report by Friends of the Earth found an astonishing 68,000 tonnes of microplastic is released by UK vehicles each year, with between 7,000 and 19,000 tonnes ending up in UK waterways. Let's do our bit by taking public transport or dusting off the bicycle in the hall. Or walk. Keep moving..using the power of the human body. Teabags - Sad isn't it, but not even the beloved teabag is safe from being a microplastic contaminator. And just how do teabags contain plastic? The answer is in the paper - plastic is added to help heat seal teabags during manufacture so that they don’t open and release tea leaves in your cup. This means that when pouring away the dregs, or even composting, you’re releasing microplastics into the environment. To avoid this, try loose tea leaves with a tea ball – they make a great cup of tea! As do those two-in-one teapots with cup. Perfect for a quick cup when you're home alone. And invest in a beautiful teapot for when folks cover round for tea. Clothes – According to Friends of the Earth, up to 64 per cent of are new fabrics are made of plastic such as polyester, nylon, acrylic and polyamide. Every time we wash these clothes, they shed millions of plastic fibres – which end up being drained from your washing machine and heading to wastewater treatment facilities and into our seas. To avoid this stick to materials like cotton and silk and wash synthetic clothes as little as possible. Fill your washing machine and do one big wash every week if possible, not quick washes every day for a pair of socks, one shirt and a T-shirt. Facewipes – As well as finding their way onto beaches after being flushed down the toilet, facewipes are also releasing microfibres, which in turn are being ingested by marine life. Made from plastic, facewipes never disappear – they are simply broken down, becoming microplastics. But this can be easily avoided, simply use a reusable face wipe, otherwise known as a cotton flannel or a piece of muslin. If you’re looking to upgrade your home, you might initially think this has to involve some construction projects, whether it's putting in a new bathroom or investing in something 'mega' such as a glass box ground floor extension. But if your budget's not huge and your home isn't in a particularly poor state of repair, rather it's just been a bit neglected, there's a lot you can do to make it nicer, more liveable and, of course, more saleable without calling in the builders. And not resorting to concrete is always the more eco friendly decision. Paint, especially good quality brands that produce eco-friendly paints, are not particularly cheap these days, but fresh paint makes everything look smart and attractive again. And if you do the preparation well, ie sand, fill, do a mist coat on walls and apply primer and undercoat to wood, you can splash the cash on the best paint brand you can afford because you'll only need a couple of coats. If you have the budget, hire a professional decorator, but with patience and practice, most of us can do a pretty good repainting job ourselves. This may sound a bit of a posh or even pretentious thing to do if you live in a small house or flat, but it is one of the most effective changes you can make to a home environment. And library doesn't, of course, mean a vast wood paneled room with floor to ceiling shelving, rather it can just be a wall or part of a wall given over to books. 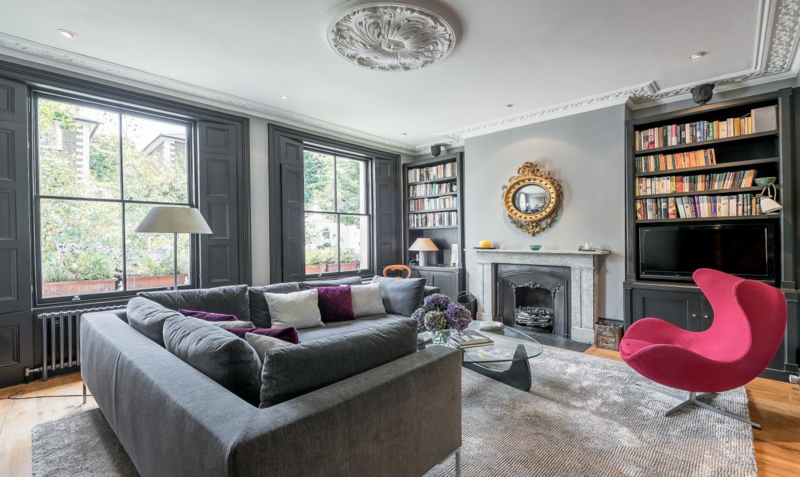 Because let's face it, homes with no books feel a bit sparse and lacking, while shelves full of books and magazines give a air of sophistication and refinery, and a sense that the occupant is interested in the world. And it's always nice to have easy access to something to read. So you could commission a carpenter to make some built-in shelving - their skill can be ideal if your looking to keep books under the stairs or in a hard to reach space. But there's lots of great freestanding, modular or lean-to shelving that's affordable and easy to find on the high street or online. And if you're lucky enough to have a tiny spare room that's not really big enough to act as a bedroom, why not designate it your library? And keep a futon roll to hand for visitors needing a bed for the night. A games room is another way to accomplish more or less what you do with the library, in that with a simple re-design and a bit of money spent on décor and furnishings you can give you a whole new place to hang out. Of course, 'games room' can mean a lot of different things. If you want to go with a more vintage approach you can read up on home poker nights, and focus on creating an inviting, authentic card-playing environment. Or for versatility get some comfortable seating, buy a sideboard and fill it with games of all sorts. And of course if you’re more into modern gaming you’ll need to get into the tech side of things and figure out how to optimize your space for video gaming. Lots of people love playing games and it's a great way to be more sociable, so if you've got an underused area in your home, think about making it a gamer's corner! Upgrading the home doesn’t just mean making interior changes. You can also do a lot to the outside, such as repainting your front door and fitting new and modern brassware, and pressure washing front paving stones. And plants are key to a good first impression. so you could put containers full of plants by the front door if there's space. And if you've got a front garden, it'll definitely be improved by plants. Either plant them out if there's soil or put lots of easy care blooms such as geraniums in pots and place them strategically around the space. There's plenty of expert advice regarding the best plants for an entrance, and, so long as you focus on what’s in seaso,n you can begin stocking the front of your house with appropriate plants in a way that looks artful, intentional and warm. And if you're not a fan of too much immaculateness, consider the slightly overgrown look for containers and window boxes - as long as it’s slightly, this approach can give your home a pleasantly lived-in vibe. University degree or an apprenticeship to learn a skilled trade? With the cost of a university education rising, more young people are asking themselves if it's still worth it. Not every graduate gets a graduate level job and the advice from some graduates is think hard before you apply, because unless you're really interested in your subject or you're taking a degree course that is fairly certain to result in a good career - medicine, dentistry, engineering, computer science, nursing etc - then it could be that an apprenticeship would make more sense. Online retailer The Electrical Guys has been looking into the university v apprenticeship debate and it's produced an infographic that compares the cost of a university degree against the merits of training to become a skilled tradesman. Obviously when you sign up for an apprenticeship you start earning straight away. Buy over the long term what are the rates of pay you can expect to earn as, say, an electrician comparied to someone in the world of high finance, for example. If your son or daughter isn't academically motivated, nor do they want a job in an office, then learning a skilled trade could well be a better option for them than coming out of university with a £40,000 + debt to the Government.. Selling a home is considered one of the most stressful processes we can go through - but being prepared and making sure you get your place looking great before it goes on the market can make the sale happen speedily and smoothly. Estate agent comparison website Get Agent have compiled their top top tips for selling a property, so pay attention if you're among those who are getting frustrated with the time it's taking to get an offer! The outside of your property is the first chance to wow potential buyers and make then keen to see inside. Little things can make a huge difference - such as keeping grass cut, paths swept, moving any rubbish and keeping the bins out of sight. And if you have a hedge, make sure it's neat, not flailing out all over the place. For a touch of colour, flower filled hanging baskets can frame a front door, while a few bedding plants will work wonders. If you don't have much front garden space, pot plants on window sills look lovely. Flowers really make a statement and provide a focal point for the outside of the property. With back gardens, decks or terraces, again clean them up. Mow lawns, take rubbish to the recycling centre and have flowers in abundance - either planted out or in containers. If fences or garden sheds are looking dilapidated, mend them and paint them. Make sure that windows and doors are clean and in good condition, are clean,with latches and handles are in working order. Because property in the UK is so expensive, many buyers want to move into a house that's ready to live in because they simply won't have a decoration let alone a renovation budget. So if they feel there are thousands of pounds' worth of repairs to make, that'll be a big turn-off. Hence it makes sense to compile a list of all the minor repairs that need doing and either doing them yourself or getting a handyperson in for a day to sort things out. Broken cupboard handles, kitchen tiles or holes in walls are the sort of thing that can be easily fixed at fairly low cost. Things such as threadbare or well-worn carpets are more expensive to replace prior to selling but find some inexpensive rugs and runners to put down on top of areas of carpet that are particularly stained as this could put off potential buyers too. And note that all carpets will look a million times better after a deep clean. You can hire good carpet cleaning machines and using them will be well worth the money. Estate agents say time and again that the key thing is to have your home looking clean and tidy - yet so often they bring viewers round and are confronted with dirty basins, unmade beds and stuff all over the floor. You don’t need to make your place look like a sterile show home, but a good clean will make it look infinitely more tempting. Bad smells are known to be one of the biggest turn offs for prospective buyers, so making sure that your drains and sinks are clean, your food bin is disinfected and that your house is aired can make a big difference. Estate agents have been recommending pleasant smells to sell houses for many years of course. Fresh baked bread, cakes and muffins are popular but impractical for most home sellers.. however brewing fresh coffee or lighting a citrus scented candle can help express a homely feel during viewings. If potential buyers can't envisage themselves living in a property, it's harder for them to make a decision. And a key reason why people often find it hard to see themselves in the property is because of clutter. So think order and less stuff... certainly no messy piles of clothes, papers, books etc. Think about moving out or storing any bulky furniture and try to declutter as much as possible, while leaving some of your personality to shine through. Open spaces and neutral colours often make small rooms feel bigger and make it easier for buyers to imagine their belongings in the space. Many home buyers are looking for a blank canvas, something they can customise to their taste, and they're much more likely to be interested by neutral colours than bold ones. Neutral colours also help to make your home seem lighter and bigger and allow viewers to envisage easily how they could adapt your rooms to their needs. Light blues, pale greys and pastel yellows are all good colour choices and provide a relaxing, warm and inviting feel to a room. Make sure windows are dressed properly with blinds, curtains or nets as bare windows make a room feel impersonal and run down. Mirrors on the wall will make a space feel larger and will bounce light around the room. Pot plants and vases of flowers around your space will make it look prettier and give a sense of nature and bowls full of fruit also add colour, natural fragrance and generally make things feel healthy. Pretty cushions and throws again add colour and a sense of comfort. Estate agent recommendations from friends and family are always good to follow up on, however doing the research and comparing local estate agents can help you pay lower fees and get a higher price for your home. Comparison websites are hassle-free and save time as they can quickly give you helpful information about agents in your area, their contact information - and some even provide current information on the local housing market and can put you in touch with your chosen agent to get the ball rolling. Whether you're hiring a local estate agent or putting your home with an online agent, a picture paints a thousand words... so don’t cut corners here. Although some agents have their own photographers, many don't, and taking pictures usually falls to the agents themselves. But they're not professional and their images just won't be good enough to make your home stand out. So it really does make sense to get your own photographs taken by a professional property photographer. Expect to pay around £100-200 for half a day and this should include processing the pictures for you. First of all, what exactly is feng shui? 'Its principles maintain that we live in harmony with our environment. Its aim is to achieve balance in your living & working space and maximise your potential for success in all areas of your life. Literally translated feng shui means ‘wind water’. Wind scatters energy and water holds energy. 'The front door should be in perfect condition as it represents wealth. To draw energy to your front door place a beautiful plant and light either side of the door. The hall represents opportunities, therefore, ensure it's kept clutter free so that the energy can circulate; place coats and shoes inside a closed cupboard so they don't stagnate the energy. To activate the beneficial chi in the hall place a beautiful mirror and fresh flowers. Fresh flowers instantly uplift the energy of a space. The kitchen is a vital space as its energy represents nourishment and relationship harmony for the occupants. Ensure you don't place the sink and cooker opposite each other as that can lead to arguments between couples, as it creates a water and fire clash. Colours in the kitchen are also an important consideration- avoid too much black and red as that also causes a fire and water clash. The position of the cooker is important for the nourishment of the occupants - ensure it's not positioned under a window or directly opposite the kitchen or front door. Ensure that furniture for the living room is in proportion to the space. Don't block any doors with furniture and position the main sofa against a wall to provide the occupants with support. To activate wealth energy place a lamp in the corner of the room (diagonally opposite the room door). To encourage a restful sleep, bedrooms must be a light neutral colour and beds must have a headboard and be positioned with the headboard against a solid wall. Ideally, the bed must not be in line with the bedroom door. Place bedside tables either side of the bed to provide support. Place curvy lamps and lightly fragranced candles on the bedside table to introduce some romantic energy. The back garden represents both health and wealth for the occupants so ensure it's always kept in good condition. Boundaries/fences/wall must always be well maintained to provide support to the occupants. Craft resurgence: but can micro businesses really make a living? 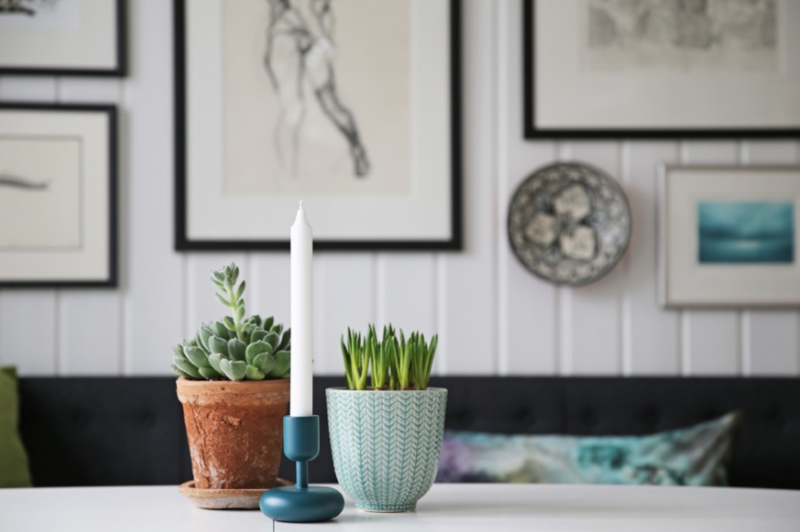 Online market place Onbuy says there's no doubt the UK has been enjoying an arts & crafts boom, with some craft sites seeing a more than 8,000 per cent increase in members over the past decade. But even though our crafters are highly skilled and professional, comparatively few can make a good living from their work. 76 per cent of businesses in the UK are defined as ‘microbusinesses’. 65 per cent of those who sell their craft do it to supplement other incomes. 71 per cent of microbusiness owners hope for their companies to grow into larger establishments. The arts and crafts boom can be attributed partly to the fact that more of us are becoming self-employed (whether by design or default...) or we're doing part time work for someone else and our own thing for the rest of the time. And it's microbusinesses like these that make up 76 per cent of British businesses..a figure that may surprise some..and the majority of these business-owners hope for their efforts will result in larger companies at some point. This year British online marketplace Onbuy has been researching the rise of the craft microbusiness, and not surprisingly it started looking at Etsy, one of the largest platforms for the craft sector, which was founded in 2005 and allows individuals and businesses to sell arts, craft, clothes, jewellery and decorative objects online. The site has 54 million members (50 per cent are active buyers and 3 per cent are sellers) spanning 83 countries. 86 per cent of sellers are women. 95 per cent of sellers work from home. 78 per cent of sales are from repeat customers, demonstrating customer loyalty. 79 per cent run their Etsy for an outlet of their creativity, 65 per cent use it to supplement other incomes. Onbuy spoke to a knitted textile designer Claudia Hartley about her online Etsy shop Mad Ram Clothing, which she runs from home three days per week. She describes her shop as a ‘labour of love’, and would like it to grow into a full time business. 'Having studied knitwear to degree level, I was struggling to find a way to make ends meet during the quieter summer months. I began taking out panels in old denim jackets and re-inserting hand knitted panels or embroidering designs into them. I am keen to make as minimal an environmental impact as possible, so source only vintage and end of line materials. 'Now my Etsy shop is full of one-of-a-kind, hand embellished, vintage pieces, as well as the opportunity to commission ‘the jacket of your dreams’. I choose to sell on Etsy as it is arguably the most well-known of the handmade marketplace sites. It’s likely that otherwise customers wouldn’t find you. 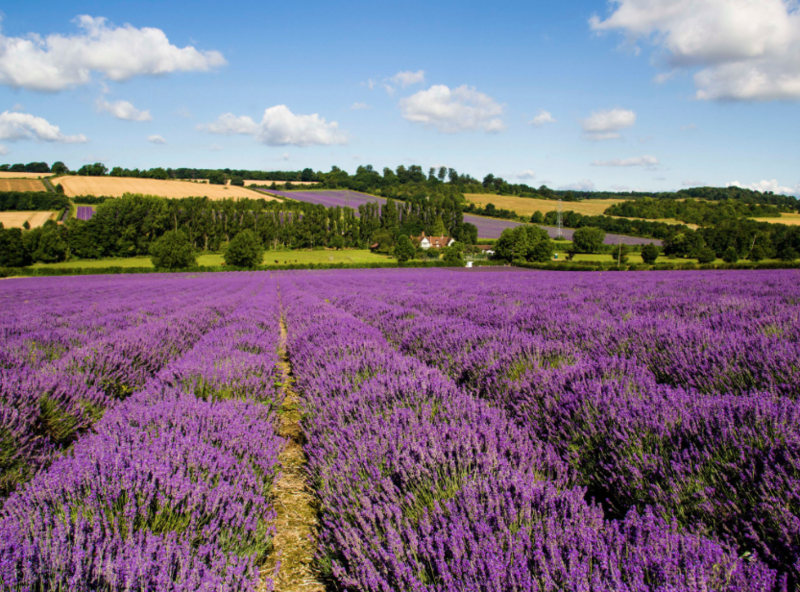 If moths are the bain of your life because they eat your jumpers and cardigans, and quite possibly your wool carpets and rugs, you need more lavender in your life. And before you complain about the price of lavender bags, there is a much more obvious and cheaper solution. Which is to keep any little fabric bags you get when you buy jewellery or make up and to fill them with loose lavender...which is widely available of course - I like the organic lavender offered by Greenfibres in Totnes..
Or make your own lavender bags using spare bits of fabric..just sew two squares together by hand, leaving the top open of course for the lavender, then tie it shut with string. Simply tuck bags into drawers, pockets of cardigans, or hang them on the tops of hangers and munching moths will be thrown off course. A few drops of lavender essential oil on the bags can ramp up the scent which moths find so loathesome - and also remember to squeeze the bags each week to release the perfume. Then in a year's time, empty the bags, compost the old lavender and fill with new fresh strong smelling lavender. The highly fragrant Lavendula X Intermedia is the best for this purpose as the fragrance contains elements of camphor which is what moths object to. A softer fragrance such as Lavandula Angustifolia will be less effective. Recent research shows a worrying dearth of young people coming into the trades, as our skilled workforce of plumbers, electricians, builders and carpenters are ageing and will be retiring in the next decade. So young people, if you don't have that Oxbridge first in maths needed to get into Goldman Sachs and you worry about robots taking over loads of desk jobs, just as they've taken over many of the roles in car factories, the trades still look like a good bet for fairly long term employment. After all, try to imagine robots building the Shard, plumbing it and fitting out its electrics.. Exactly. So which trades are the best paid and indeed which countries pay the best? Because if you're a plumber or an electrician, your skills will be welcomed wherever you want to go and live. 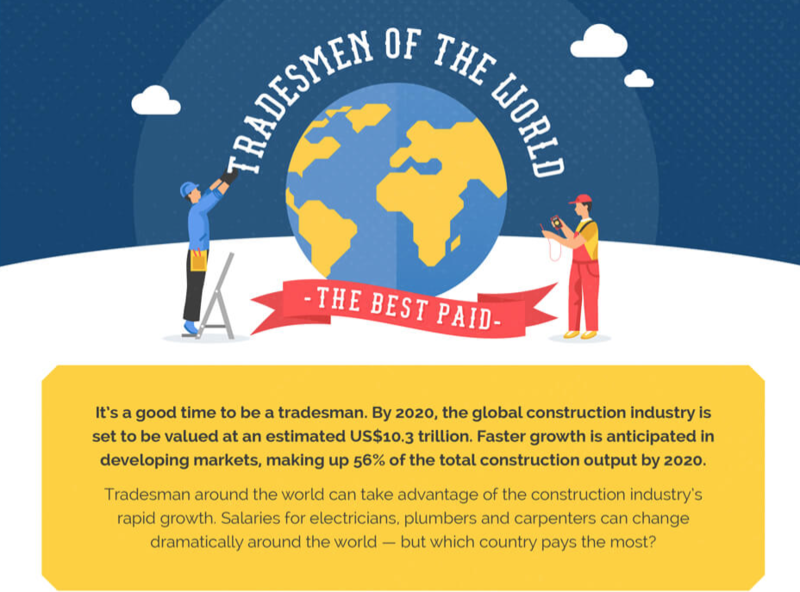 Electrical Direct have created an infographic that focuses on salaries within the construction industry. In the visual, electricians, plumbers and carpenters are the key focus within five different countries. It also drills into the specifics on which region within each country offers the best pay and what qualifications you'll need. Here, an electrician can earn a good £30,500 a year, though a newly qualified electrician’s salary usually falls between £19,000 and £22,000. The hourly rate outside London usually comes in at around £25 to £50. National Vocational Qualification (NVQ) Diploma at Level 3 in Electrotechnical Services. National Vocational Qualification (NVQ) Diploma at Level 3 in Installing Electrotechnical Systems and Equipment. Level 3 Diploma in Electrical Installations – if part of an apprenticeship. People who progress to a National Vocational Qualification (NVQ) Level 3 can around £18,000 pa and after five years expect to be on £25,000. Those who are self-employed and very experienced tend to earn £30,000 to £40,000 - and more in the big cities. City and Guilds National Vocational Qualification at Level 2 (England and Wales). Scottish Vocational Qualification at Level 3 (Scotland). You can start work as a plumber straight after leaving school if you can find an apprenticeship. These are a good idea as you're being paid as you learn on the job and you'll work for around 30 hours a week over a two-year placement. The average salary for carpenters falls between £25,000 - £40,000 — those who work as team leaders/project managers can earn considerably more though. However, those who begin as an apprentice will usually have a starting salary of around £16,000. Level 1/2 National Vocational Qualification (NVQ) in Wood Occupations. Level 1/2 Certificate/Diploma in Construction Crafts. To find out more about pay around the world, check out the infographic. If your home is eco you're no doubt zealous about wearing eco-friendly clothes too, non? 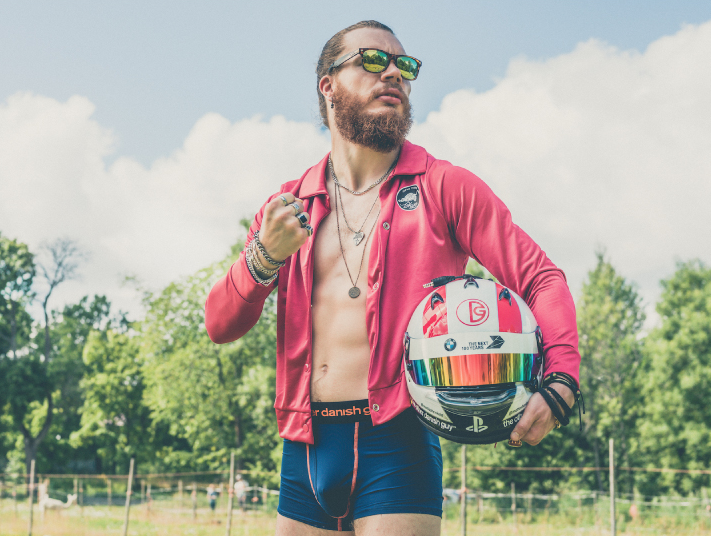 So organic cotton, organic wool, linen, hemp.. and, er, dare we ask about your underwear? Natural sustainable yarns are brilliant, but you could also introduce ocean plastic into the mix when it comes to buying pants. Because ocean plastic is being heavily fished and turned into pellets that can be extruded into fibres that make super softy silky fabrics - among them one called Smoothshell. And you can buy Smoothshell underwear from Nordic fashion brand The Other Danish Guy, whose Ocean Discovery range includes boxer shorts and trunks for the man with an environmental conscience. We like the sound of this - it's a range of underwear that's not only helping to clean up the oceans but is also sending a message to the fashion world to get with it and use high tech recycled yarns in its products.